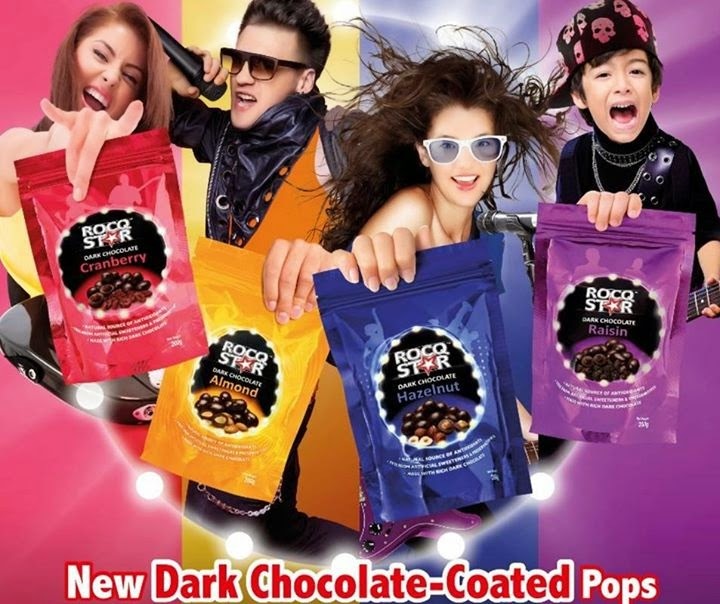 Share Your Rocq Star Story To Win A Year's Supply Of Dark Chocolate-Coated Pops! Hey you "Rocq Stars"! Come party with a healthier punch of chocolate treats as Auric Pacific Marketing Pte Ltd launches a new series of Dark Chocolate Coated Pops. Brightly lit packaging like stage lights, each colour represents a different flavour of chocolate pops. Dark Chocolate Raisin Pops, Dark Chocolate Craberry Pops, Dark Chocolate Almond Pops, Dark Chocolate Hazelnut Pops, Dark Chocolate Espresso Pops and Dark Chocolate Mocha Pops, each containing natural antioxdants in the real cocoa, fruits and nuts used. They contain less sugar and fats and are also free of preservatives, artificial colourings, flavourings and sweeteners. My favourite is the Dark Chocolate Cranberry Pops! 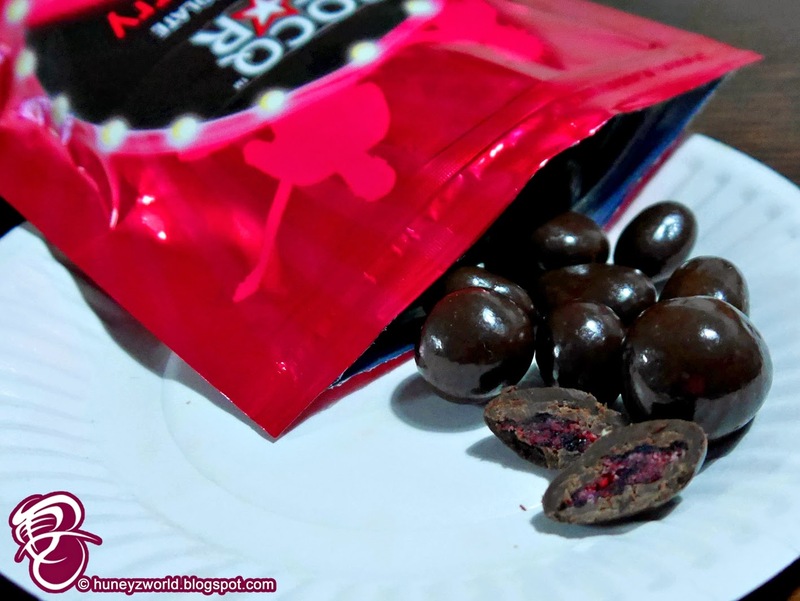 The sweet cranberries within, compliments with the slightly bitter dark chocolate coating, and not forgetting cranberries are a great source of antioxidants and Vitamin C! 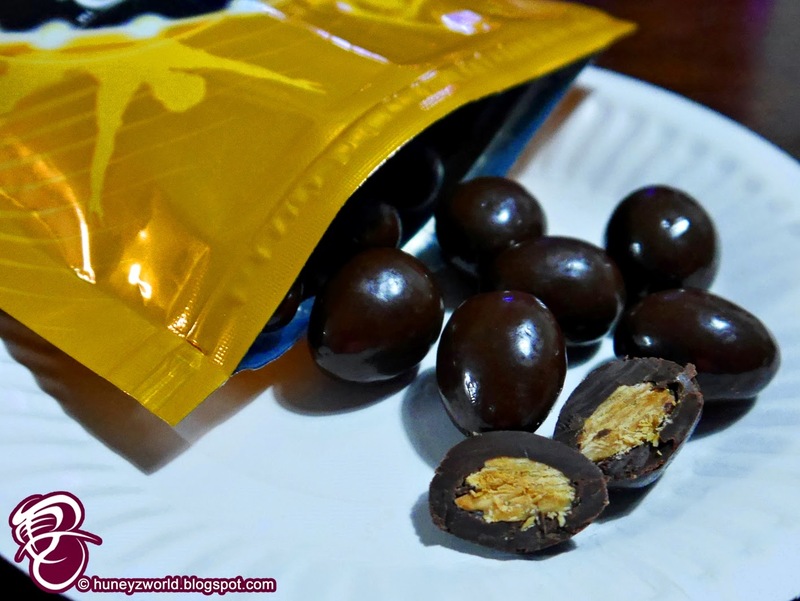 Yellow for Dark Chocolate Almond Pops for rich source of unsaturated fats, minerals and vitamins. Purple is for Dark Chocolate Raisin Pops. Californian raisins are well known for their juiciness and natural sweetness. 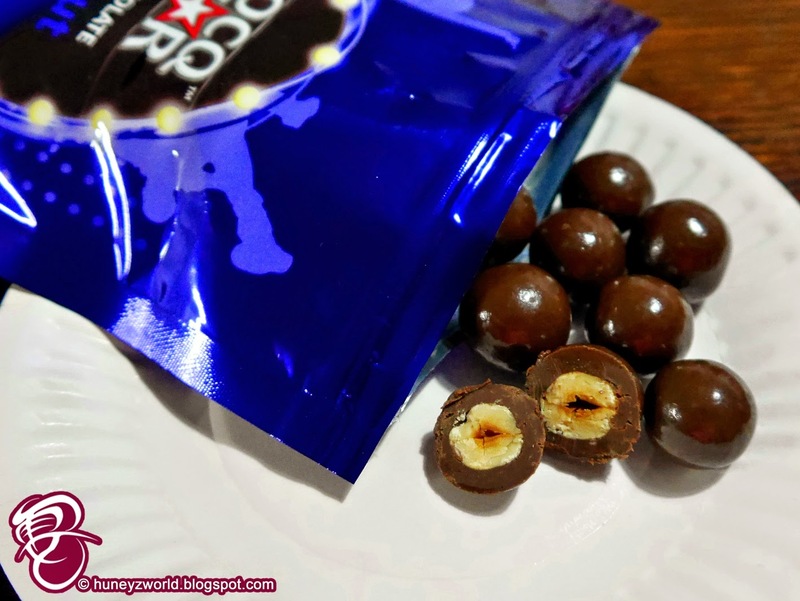 Blue for Dark Chocolate Hazelnut Pops, which contains Vitamin E for better skin complexion. 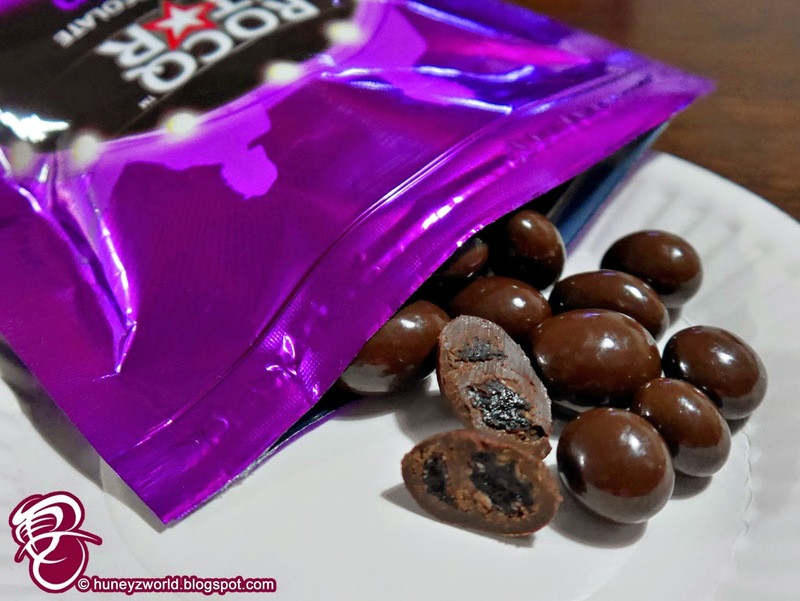 The ROCQ STAR Dark Chocolate Pops come in re-sealable zip lock pouches that locks in freshness. There's also 2 special flavours that is first in Singapore - Dark Chocolate Espresso Pops and Dark Chocolate Mocha Pops. Coming in handy compact boxes, you can easily have these delectable chocolate pops in your bags and bring them everywhere with you. 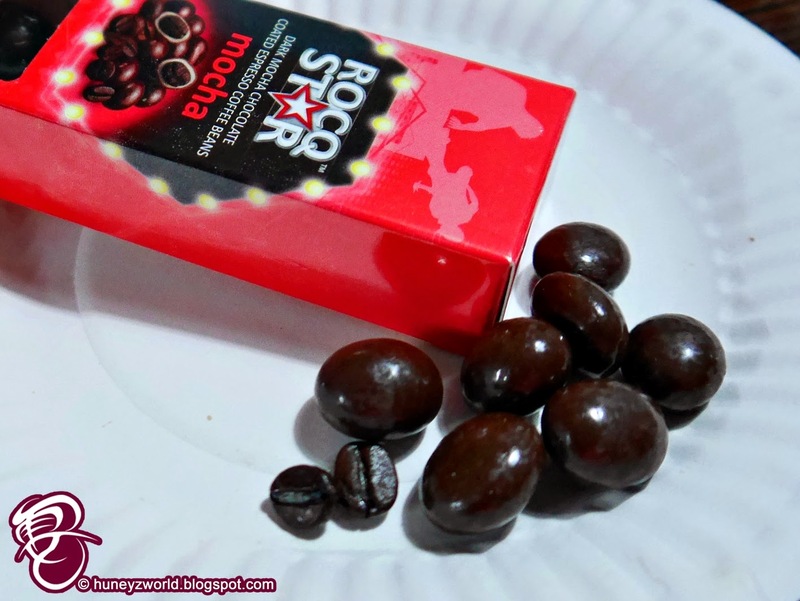 Each pop encases a coffee bean and not only are you getting a chocolatey treat, you get an instant caffeine boost too! My favourite is the Dark Chocolate Mocha Pops. 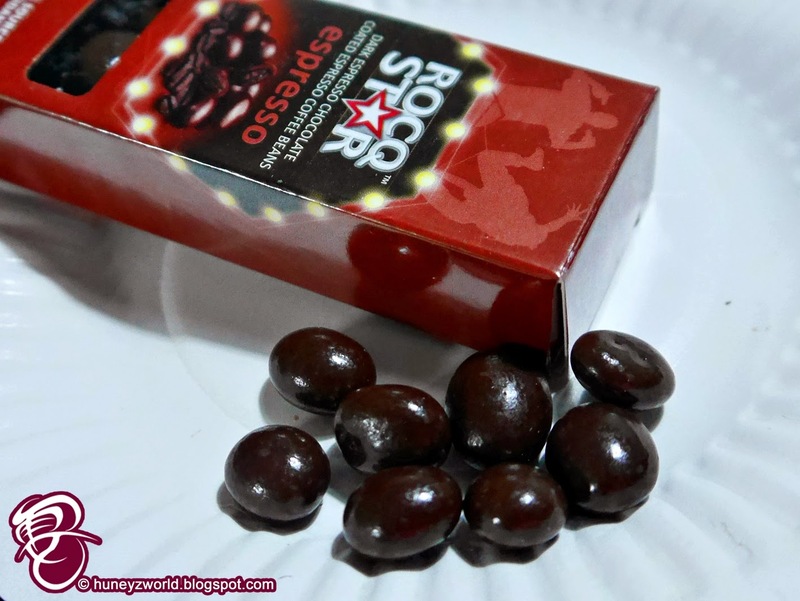 So you ROCQ STARs, which is your favourite? 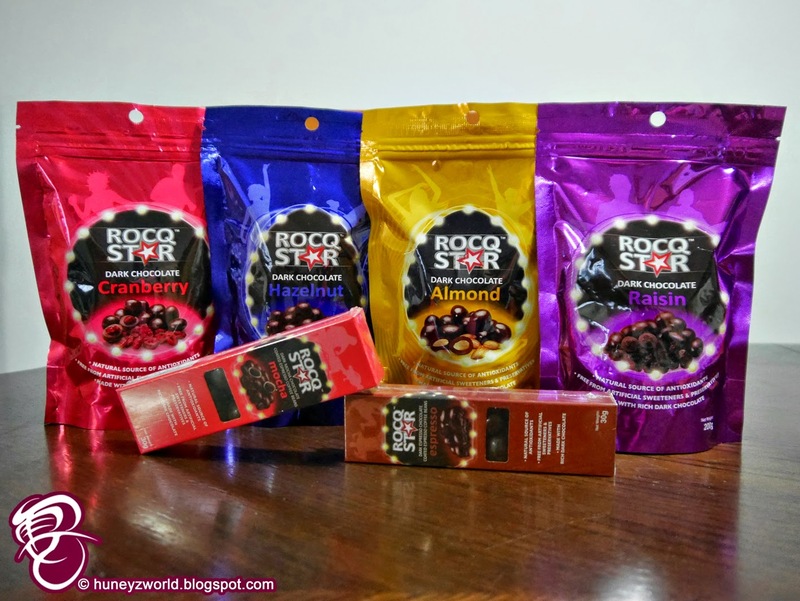 Share them and tell us why you are a ROCQ STAR and you might walk away winning a year's supply of ROCQ STAR products! Post a picture that depicts why you are a Rocq Star on Instagram with a caption. 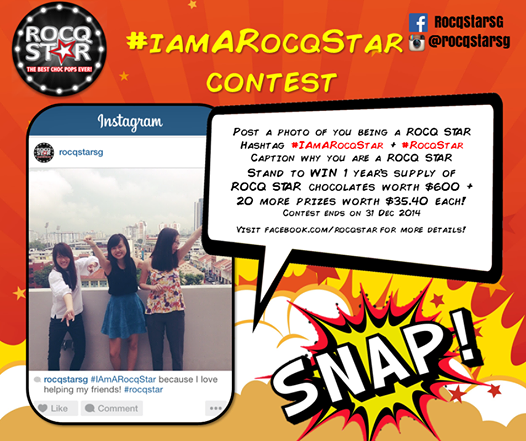 Tag @RocqStarSG and include hashtags #iamarocqstar and #rocqstarchocpops in your Instagram post. 21 winners will be chosen by Rocq Star and announced on Rocq Star SG's Facebook page, The public may then vote* for their Rocq Star. The Grand Prize winner will walk away with a year's supply of Rocq Star products! *Public voting will account for 40% of the total scored and judges from Auric Pacific Marketing will account for 60%. The winner with the highest score will be named Grand Prize Winner and win 1 year's supply of Rocq Star products. Be creative and good luck to all ROCQ STARs!